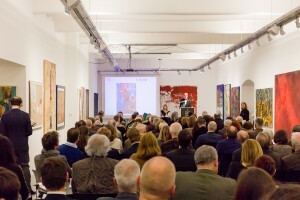 RESSLER KUNST AUKTIONEN GMBH is specialised in contemporary art. Our expertise is particularly strong in the fields of Austrian contemporary art and classical modernism. Or you call us under +43 1 600 56 30 to arrange a viewing appointment at your home, free of charge! Or you are bringing your piece of art to us – we are at your service from Monday to Friday from 11 to 6 p.m.
You receive proposals for reserve prices for your pieces of art from us, and if you want to, we take care of their collection. We will advise you about the best time for selling, inform you about the market situation, negotiate fair conditions and intelligent minimum sales prices and do our utmost for you to achieve the best possible price at auction. With us, your works of art are in the best hands! Our catalogues – including your work of art – reach collectors and art lovers all over the world! We accept your objects of art until about 10 weeks before an auction. The exact deadline for delivery of artworks can be found in our latest catalogue or in our newsletter. Auctions are an ideal method to harmonise the interests of sellers and buyers. A process that would require difficult negotiations otherwise takes place here within a few minutes, between the calling out of an object of art and the acceptance of the highest bid. In ancient Rome, two thousand years ago, auctions were highly regarded as an instrument to determine market value. Auction methods have hardly changed since then; they are old, but good. Especially in the case of objects of art, however, in many cases it is not material considerations that play the main role in determining prices, but passions. For most art collectors, art is not a matter of speculation, but of emotion. That also constitutes a great chance for sellers to achieve an extraordinary price. 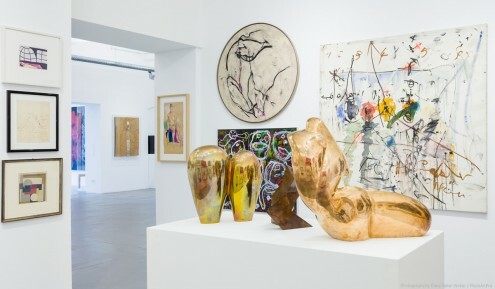 Our experts will support you, the seller, with their long years of experience and their close-knit network of collectors, art lovers, curators and gallery owners. These relationships are based on trust – the most important asset in the art market. 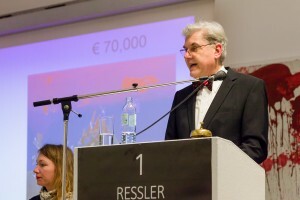 Bidders must be able to rely on the auction house’s information – no matter whether these bidders are located in Vienna or Berlin or New York. Bring us your object of art! An appraisal by our experts is free of charge and does not oblige you to consign it to auction. We are located at the former Anker Bread Factory, on the premises of the OstLicht Gallery in Vienna’s 10th District, at Absberggasse 27. Our opening hours are Wednesday to Saturday from 12 to 6 pm. You may also make a consultation appointment by telephone outside these opening hours. Or send us photographs of your objects of art by email to auction@resslerkunst.com – we guarantee an appraisal within a few days. You can also send us photographs via mail. Please remember to include at least the measurements of your object of art. However, we would also be happy to visit you! Our experts regularly travel to all parts of Austria, to Germany, Switzerland and to the South Tyrol. Our visit is free of charge, and you are not obliged to consign your objects of art to auction once they have been appraised. Your object of art will be examined and evaluated extensively. Together, we will decide on the best course of action. The minimum sales price, i.e. the sum below which no final sale may be awarded at auction, will be agreed upon mutually. You will receive an auction agreement, a written contract which confirms the delivery of your objects of art and all important details agreed upon for the auction. If you do not wish to bring your object of art to the auction house yourself, we will take care of its pickup, packaging and transportation. And of course its insurance. All this is guaranteed by hs art service Austria, our specialised art shipping company. If you prefer to use a different shipping company, we kindly ask you to organise the transportation yourself. As a seller, of course you receive our catalogues. You are also invited to the openings of our exhibitions and to our auctions. After the auction you will receive an accounting. It is based on the highest bid, i.e. the sum for which the sale was awarded at the auction. The seller’s provision, photography reproduction costs and potential other costs agreed upon, e.g. for transportation, will be deducted from this sum. The seller’s provision for objects of art is calculated at 10% for starting bids from € 10,000 on; between € 5,000 and € 10,000 15%, and for starting bids below that 20%. In cases of very high-value objects of art, the seller’s provision is negotiable. The photography reproduction costs are € 500 for a double page, € 300 for a full page and € 200 for a half page. We will not have smaller illustrations in our catalogues, since we are convinced that your object of art must be given the appropriate chance to attract the attention of potential bidders. We will bear the costs of insurance from delivery to sale. If your object of art remains unsold, you are responsible for picking it up – after the end of the subsequent online auction. In any case, your object of art will be uninsured from the 8th day after the auction onwards. An alternative to an auction is selling objects of art by way of a private sale, i.e. a direct sale among private parties. Your object of art will not be offered as part of an auction, but only to a circle of especially selected customers. This ensures a maximum level of discretion. Nobody will know that you are selling anything. In this case, we will offer a reputable appraisal of the price of your object of art, agree upon a fixed price and offer your object of art to only a few, select collectors.